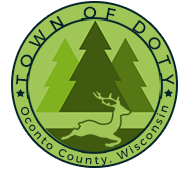 Welcome to the Town of Doty! 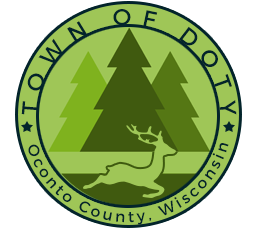 The Town of Doty is comprised of pristine surface waters and forests that will be well preserved, establishing an aesthetically pleasing atmosphere in a safe environment. The Town residents, supported by the Town Board and Town Plan Commission, will direct growth and development in a way that will allow the town to maintain its unique character and quality of life, thus making the town an ideal place to visit and reside. Land use policies will be implemented to create a system of well-planned, orderly development. New development will be limited and carefully guided so that the landscape remains uncluttered and the environment protected. The Town will protect its scenic and natural areas from development impacts so that current and future generations can enjoy the unique wildlife, clean waters, and wooded trails that epitomize the community.